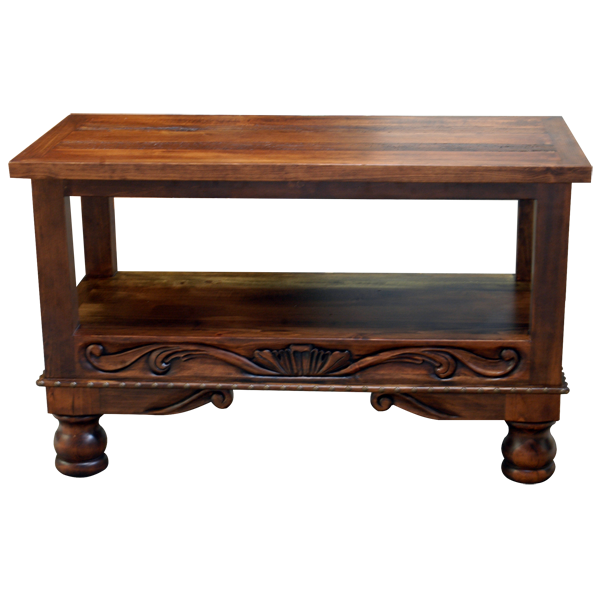 This handcrafted, Western style console features an open, rectangular space that divides the top and the base. The wide top is supported by four, square cut legs, with hand turned, ball style feet. The opposing pair of legs are joined by the base, which can also be used as an open shelf. 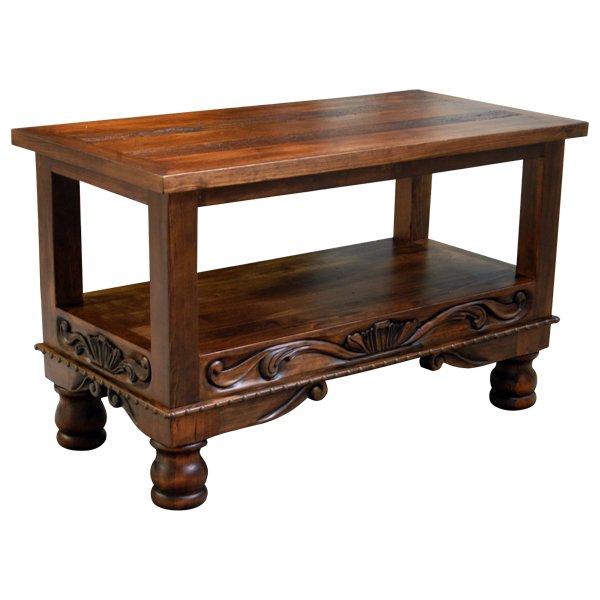 The front of the base is embellished with magnificent, hand carved, floral and scroll designs, and this hand carved floral theme is continued on the lateral sides of the base. The lower part of the base is enhanced with a staggered rim and curved supports. 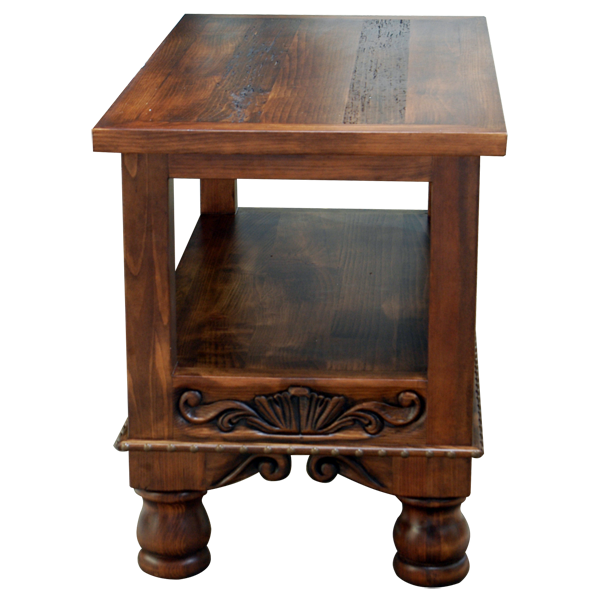 The console has a lovely, antique finish, and it is made with the best, sustainable, solid wood available. It is 100% customizable.